Arriving too late to prevent a class action lawsuit, Google rolled out a new update this week for Google Play. The update adds a new option for requiring passwords, it rearranges a few of the menus, and it adds a bulk install option. Google has been catching a lot of flack lately because of their security policy of locking the door while leaving the windows wide open. While Google does offer users the option of requiring a password, that option also included a 30 minute window where Google wouldn't ask for passwords again. 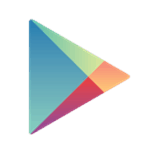 This window created an opportunity where some unauthorized soul could run up huge bills on someone' else's Google Play account, but luckily this update will bring that to an end. The new version of Play Store adds a second password option that lets users require a password on every purchase. That really should have happened a long time ago; parents have been complaining about this issue since at least 2010, if not earlier. The timing is also not conducive to the lawsuit; Google has more or less admitted that they were at fault. In other news, the update also moves the settings menu option from the top menu bar to the slide-out menu on the left. You'll also find the help menu there. And last but not least the new version of Google Play adds a new option for bulk installing apps from the My Apps menu. This will come in handy when you need to set up your next device. The update should be sent out to all compatible devices, but if you don't want to wait you can download the new version of Google Play from Android Police.